A great message deserves a great frame. 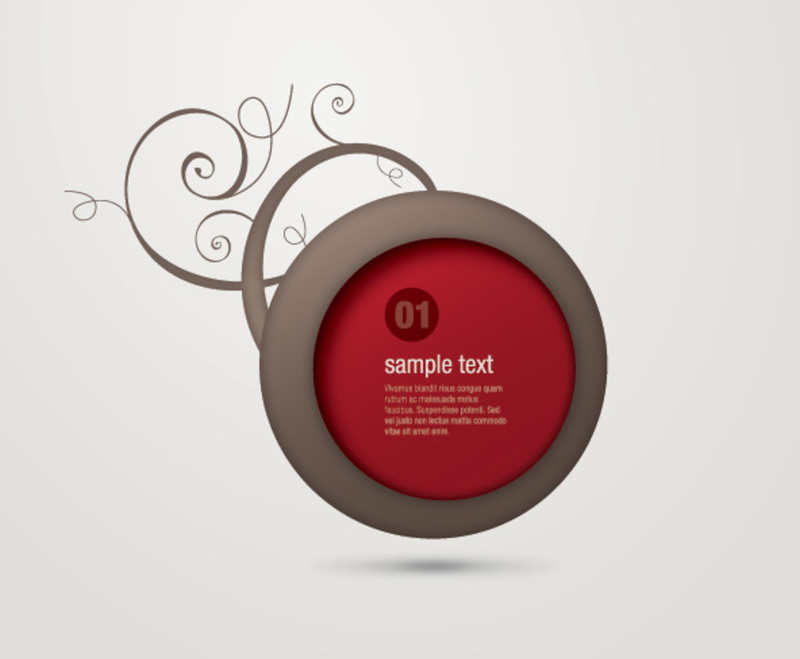 Here’s an all-original take on a classic circular background. This graphic establishes a strong sense of movement, which helps to add some emphasis to your message. An elegant sphere with root-like spirals approaches the center of the page. The sphere’s surface features a rich maroon circle with sample text in its center and a numbered circle over the heading. The spirals on the back of the circle lead towards the upper left corner of the egg-white field. The circle seems to move towards the audience, which makes for a compelling finished effect.